Water to water heat pump W series is an extremely economical and reliable heat pump, which is available in the output 6-16kw By using yuelly heat pump, you can reduce your heating costs up to 75% . The coefficient of performance (cop) can reach 4.6 at 0oC incoming cooling medium temperature and 35oC outgoing medium temperature. 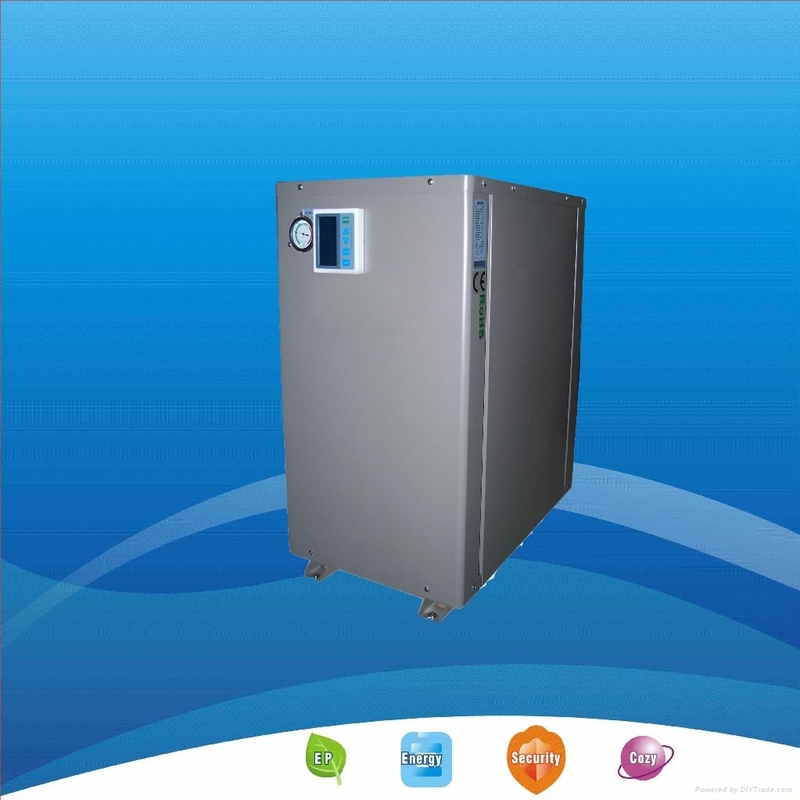 the most advanced technology of heating temperature curve, make heat pump more comfortable and energy saving. The heat pump supply heating to your house depend on the outdoor temperature. yuelly can produce the water temperature to 65oC, it is the ideal heating appliance replacing the old oil or gas burned equipment’s with low emission and low cost of energy. yuelly also provides cooling function by sending the cooling water from the underground loops to your indoor air ventilation or floor pipe system, the compressor doesn't work in this function, only the brine pump work for brine circulation with very low electricity consumption.